Has it ever occurred by you that an oil company is even planning to produce a fuel-efficient vehicle? Probably not, but Shell did it. 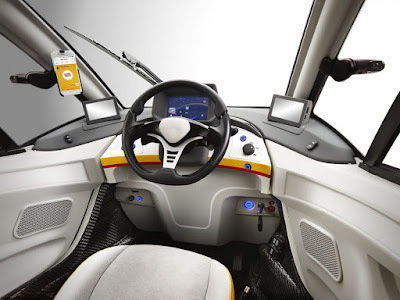 The Netherlands-based oil company, in collaboration with Gordon Murray Design and Geo Technology to designed and made the Shell Concept Car, a gasoline-powered urban car yet highly fuel efficient. Thus reported by the Engineer, last weekend. As we all knew, Gordon Murray is a Formula 1 car designer who had worked for Brabham and McLaren, while the Geo Technology is the automotive specialist company established by former Honda F1 director, Osamu Goto. After designing the F1 racing car, Murray makes the Gordon Murray Design company that introduced the concept of iStream to manufacture a vehicle. This concept is also applied to the Project M's. And as the basis for its design, Project M has made the Murray's T.25 car in 2010 as inspiration. Shell himself calls the Project M as "a total rethinking of T.25." As wrote by This is Money, there are almost no difference in terms of design between the two cars. 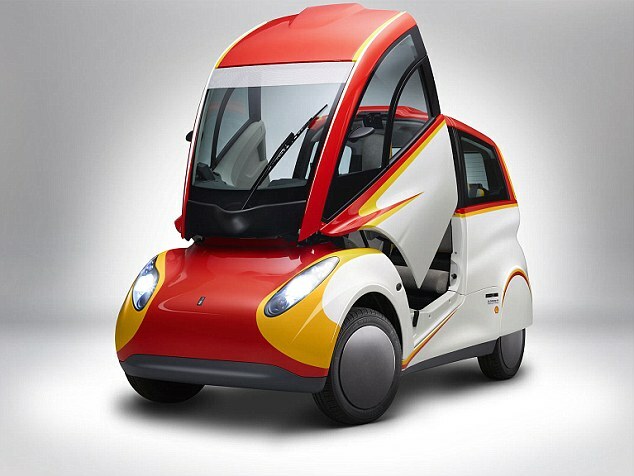 And Shell claims the car can run about 38 km on just one liter of gasoline, if it is run in a constant speed of 70 km/h. This figure does not seem surprising, but very impressive when considering that the Project M is not a hybrid car. It fully rely on gasoline as the fuel of its engine. There are several factors that make Project M can reach the level of fuel efficiency as such. 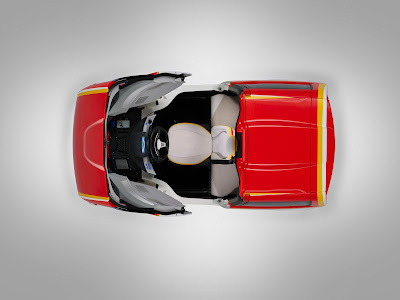 First, according to Gizmag, materials are chosen very selectively and the vehicle sizes downsized on a section that allows, regardless of the size of parts. It is intended to the weight of the vehicle to be light and minimize the air resistance when the vehicle moves so that the fuel is more efficiently. A number of car components are also created using the 3D printing in order to accelerate the development of a prototype of this vehicle. This vehicle also uses recycled carbon fiber to saves a quarter of the price of the car body design in general. Another added value, this car has a weighs of 550 kg and fully recyclable when no longer used. 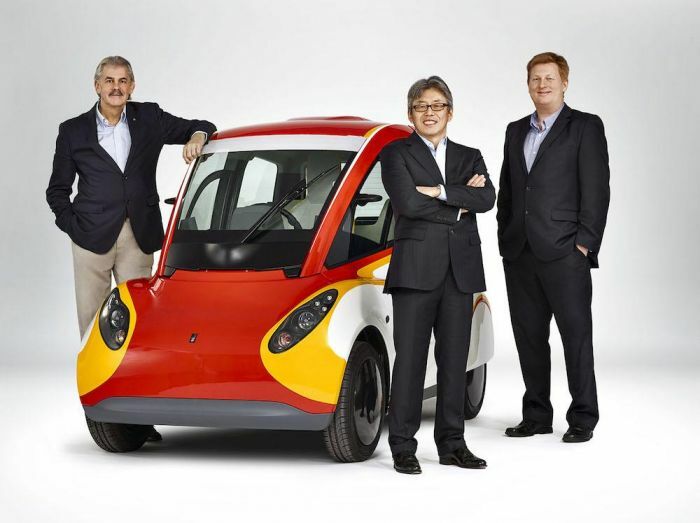 Then Shell also set up a special lubricating oils that can make this mini urban car became 5 percent more efficient than when using regular lubricants. 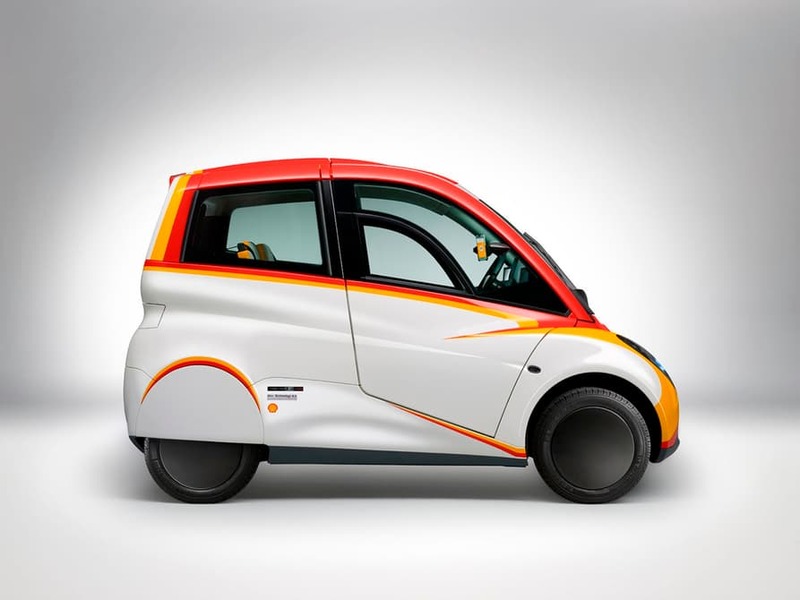 The mini urban car of Shell is powered by a three cylinder 660 cc engine, which its supporting components is designed specifically by Geo Technology to reduce friction. Shell stated that engine can spew the power up to 43 hp and 64 Nm of torque, and has a maximum speed of 110 km/h, but the best performance obtained at a speed of 50-70 km/h. This car also can be filled three people, namely the driver in front of the central part and two passengers behind. The Engineer also reported, that the concept car has been conducted the NEDC (New European Driving Cycle) emission tests, and produces lower CO2 emissions record of 28 percent compared to similar mini urban car and 32 percent lower than a hybrid car. According to This is Money, though tiny, the car's safety can be guaranteed as keep in mind the T.27 (the successor of T.25) has passed the Euro NCAP crash test in 2011. 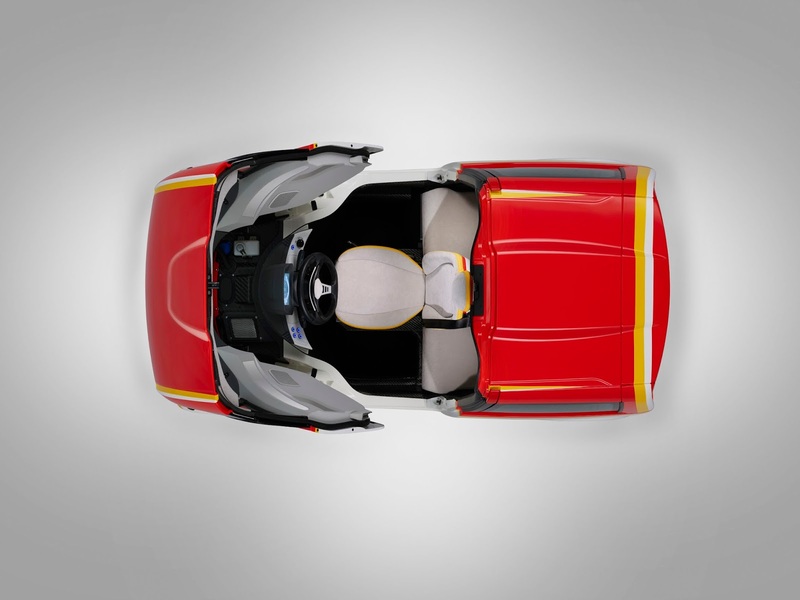 "This is a significant achievement in an automobile engineering," said Mark Gainsborough, the executive vice president of Shell global's lubricants business. "The results of this project could change the way we use energy in the road transport sector." One thing that is highlighted by Gainsborough is increased the fuel efficiency due to the use of special lubricants developed with engine designers and the car as a whole. "It proves the important role of lubricant in order to reduce CO2," he said. Shell has not announced when the car is going to try to be produced, but will be introduced to the public for the first time at the Beijing Motor Show 2016 held on April 25 to May 5, 2016 in China.